New Delhi: The Congress on Friday sought an investigation by the Lokpal into a media report that alleged bribes of Rs 1800 crore were paid by former Karnataka chief minister B S Yeddyurappa to the BJP''s top brass. Congress chief spokesperson Randeep Singh Surjewala, addressing a press conference, said Prime Minister Narendra Modi should come forward and clarify whether bribes to the tune of Rs 1,800 crore were taken by the BJP leaders or not. There was no immediate reaction from the BJP on the allegations. 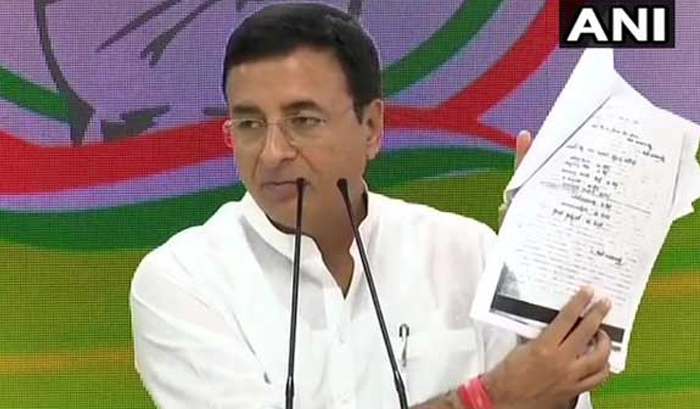 Surjewala said the report by Caravan magazine cited a diary containing details of the alleged pay-offs to senior BJP leaders and it was seized by the Income Tax Department during raids. "Prima facie, this is a case of investigating all BJP leaders, right from the PM and downwards. It is a fit case to be investigated by the newly appointed Lokpal," he said. The Congress spokesperson also read out a purported conversation between Yeddyurappa and a BJP leader alluding to the bribery. "The diary with B S Yeddyurappa''s signature on it was with the Income Tax Department since 2017. If that is the case why did Modi and the BJP not get it investigated," Surjewala asked.